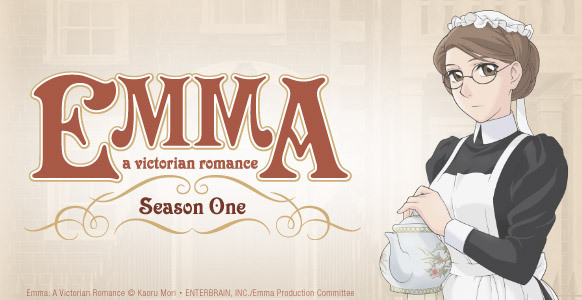 A Kickstarter has been set up by Nozomi Entertainment to release a Blu-ray for the first season of Emma: A Victorian Romance with an English dub. The campaign is currently seeking a goal of $110,000 by October 18. At the time of writing it has has received over $39,500 in pledges. There are several stretch goals listed for the campaign. The final goal listed at the moment is at $180,000 for dubbing the second season of the anime. There are also quite a few reward tiers for those that pledge and the rewards range from badges, sneak peaks at progress, postcard sets, and a collector’s edition among other things. You can take a look at full list on their page. Nozomi Entertainment previously was able to run a successful Kickstarter campaign for a Blu-ray release of the first season of Aria.